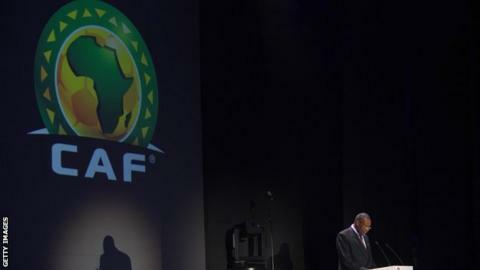 The Confederation of African Football has disqualified The Gambia from the qualifiers for the continent's under-20 championship for fielding overage players. Liberia protested over the ages of several Gambian players after the first leg of their first round qualifier on 6 April. The Gambia won the match 1-0 but Caf found that Sampierre Mendy, Buba Sanneh, Bubacarr Trawally, Saloum Fall and Ali Sowe were all born in 1994. The competition's regulations state players have to be born on or after 1 January 1995. The ruling means that Liberia progress to the second round where they will face Ivory Coast. The Ivorians advanced following the withdrawal of Guinea Bissau from the qualifying campaign.